The Q7 has been a massive hit for the four-ringed Bavarian. The SUV was launched way way back in 2006, and so really a second generation has been due since at least 2013 if not slightly earlier. Audi says it's sold over half a million of them since. And so its taken its time ringing us the second gen car, for two reasons - because it could (the 1st gen was still getting sold out even as it was nearing the end of its life-cycle) and so that it could incorporate that much more into it. The latter philosophy didn't seem to apply to its design department though it would seem. While the new Q7 is different, and mature, and attractive - it's no major departure from the first one. So much so that it prompted Ulrich Hackenberg (Audi's R&D chief) to already promise a dramatic facelift to the car when it happens - oh and that won't be till at least 2018. Okay so that said, lets get on with it. The best part about the new Q7 is that it's a much better car. Sounds corny to say that, but it is true. All new generations are meant to be better, so don't get me wrong here. But Audi's extra time taken is showing through in almost all the bits on this car. In India the new Q7 will carry the 3.0 TDI engine at launch and will get to us just shy of Diwali. I suspect we may not really get the 3.0 TFSI in a hurry even post that. Which is really fine by me, because the TDI is my pick of the pack. The same 3-litre diesel unit is available in two output variants - 272bhp/600Nm and 218bhp/500Nm. I drove the former. Verbier is a quaint little village tucked up into the Swiss Alps. Not for the hoi polloi, the village plays host to the rich and famous guests and residents - only. So hardly a surprise it was the staging ground for Audi's new high-end, high0-decibel baby. A charter flight brought us to Sion airport (yes its exclusive remember - regular airlines don't fly here). And it was at the airport itself we met the new Q7. The drive to Verbier was a 90-minute affair - since we didn't stop en route- and was extremely picturesque and gave us a mix of fast motorway and wonderfully twisting mountain roads. Of course when I say fast in Switzerland that's a relative thing! So aside from the traffic restrictions and indeed slow traffic in parts (the woes of following trucks climbing a ghat road is something many of us know), the countryside and the car were enjoyable. 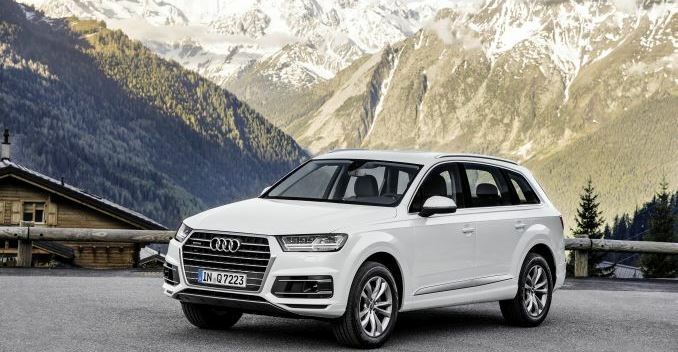 The new Q7 has been designed to be 325 kilograms lighter than its predecessor. Yes - let that figure sink in. 325Kg! And its come by reducing weight in every possible area of the car. The doors are 24Kg lighter and all aluminium now, the seats are almost 19Kg lighter (don't worry they're not all-aluminium and you still get plush leather! ), the exhaust system is 19Kg lighter, and the car's structure is now a whopping 71Kg lower in weight, and now uses more sheet and cast aluminium than before. This now claims to be the lightest all-wheel-drive SUV in its class. The drop in weight helps add to its now 28% increased fuel efficiency, but it also makes it more agile says Audi. 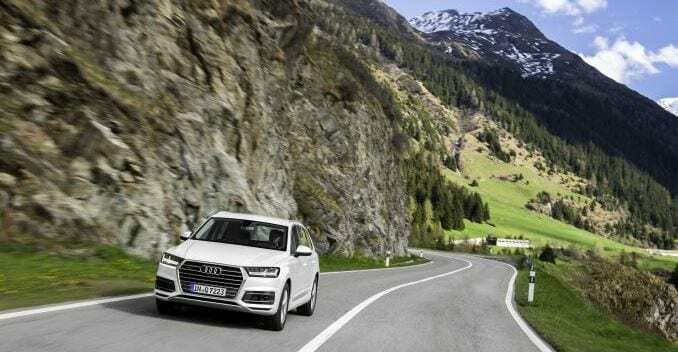 Quattro or all-wheel-drive is standard of course, and its new lighter mid-differential also helps to the lighter weight and more efficient transmission. 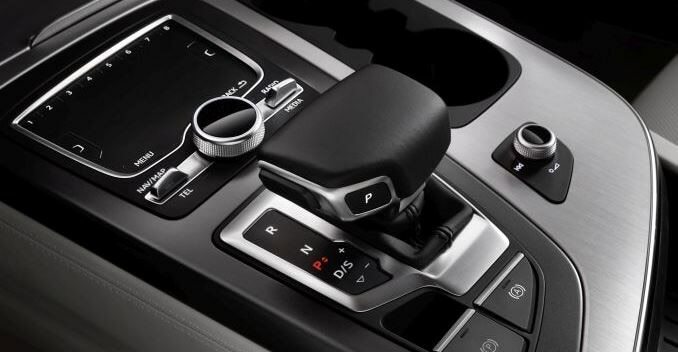 The diesel engine is superbly mated to the 8-speed tiptronic gearbox. And yes the standard paddle shifters are a hoot as always - downshifts are instant and the car responds overall with alacrity. 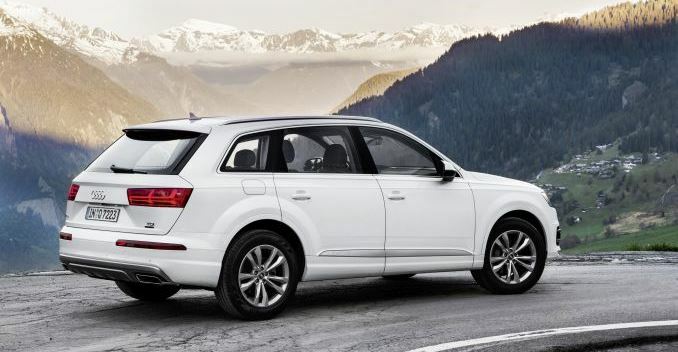 Audi has reworked its already-capable TDI diesels and now offers the latest range for the first time in the Q7. The engine is athletic, and performs with aplomb. But what is even more remarkable is how silent it has become. I had to remind myself a few times that I was driving the diesel. And this is true not just inside a well-insulated cabin, but even when you are outside and stand near the car - the engine is very quiet indeed. The same is true for overall driving noise - from the road, wind and the car itself. The Q7 is now a quieter retreat from the urban chaos and is more silent when rushing you over a high-speed highway. The car has a whole host of driver assistance features now that it didn't earlier. It also updates systems like adaptive cruise control, and it's MMI or multi-media interface. But first a quick word on those driver aids. A lot of them work to protect you by allowing the car to be more intuitive. Its some stuff we have seen from other automakers too. There's Traffic Jam Assist that allows the car to autonomously drive itself through largely straight-line, bumper-to-bumper, city traffic by staying in its lane, and steering the car when needed. Of course sharper corners and emergency manoeuvres still need the driver to take over, which means you cant switch off! The car now also has all-wheel-steering, though its not standard equipment. At low speeds the rear wheels turn slightly in then opposite direction to the front wheels. This helps the turning radius go down by 1 metre, and so helps in tight U-turns and parking situations. At higher speeds they turn in the same direction, giving you better stability and precise manoeuvring. Audi has also added Predictive Efficiency Assist which helps gauge the most efficient driving based on the route ahead - that the car tracks. This reduces consumption by as much as 10%. Audi has also developed two e-tron variants - petrol and diesel hybrids - that offer a pure electric range of almost 60Km. But again that is a variant that while certainly interesting in itself - holds no interest for our market, sadly. You can opt for the 'standard' Bose sound system, or the very high-end Bang & Olufsen 3D sound system! At the rear there is the option of twin tablets for rear occupants that allow you to control car functions and entertainment. 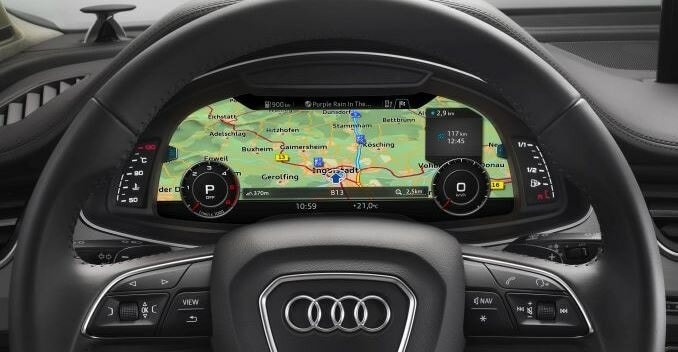 And by the way they aren't Samsung or Apple tablets - they've been developed by Audi, and are shatter proof in the event of any impact of any kind. So all in all, expect the range-topping diesel model. I expect the India-spec will be fully loaded with features like a panoramic sunroof, 3-row standard, and the virtual cluster with updated MMI system and touchpad. I also expect navigation and head-up display, plus top-spec leather to be on offer. Prices will go up, though I suspect Audi will have long-term plans to locally assemble the car in India anyway, and so pricing will take that into consideration.